Nova Scotia’s 2017 Heritage Day will honour Mi’kmaq Heritage. The new “First Fishers” exhibit at the Fisheries Museum of the Atlantic presents a unique aspect of Mi’kmaq culture, and ingenuity as it explores the story of the Mi’kmaq fishery. 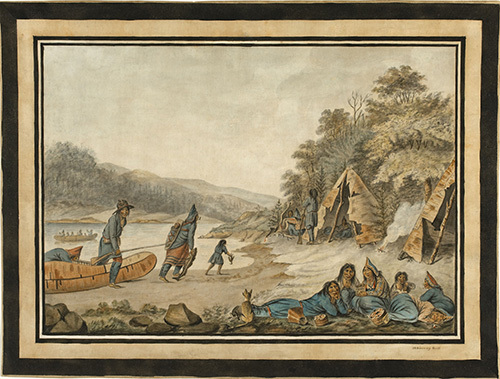 This resource page, created in partnership between the Nova Scotia Museum and the Nova Scotia Archives, provides high resolution images and documents from the exhibit for in-depth analysis. Examine the following archival image and documents to see what you can discover about Mi’kmaq heritage, culture, and history, told here through the lens of their role as Atlantic Canada’s First Fishers.